“Alcohol… has become a formidable weapon: the natives of the new world having been more utterly destroyed by brandy than by gunpowder” – Jean Anthelme Brillat-Savarin, 1825. Ships leaving Old Continent ports and setting sail for the Americas carried casks full of alcohol (and men ready to empty them) and brought new knowledge to those lands. Inclined to drink, familiar with the mystique of wine, patrons of taverns, the colonists travelling to the other end of the world met a variety of indigenous cultures, which over the centuries had established complex relationships with a wide range of fermented products and, at times, given a sacred role to ritual drunkenness. The meeting of cultures engendered new ways of over-indulging, resulting in episodes of inebriation that were epoch-making, unhealthy, healing, prophetic, confrontational, mortal, punishable, ecstatic, common, solitary, artistic, visionary, sacred and profane. 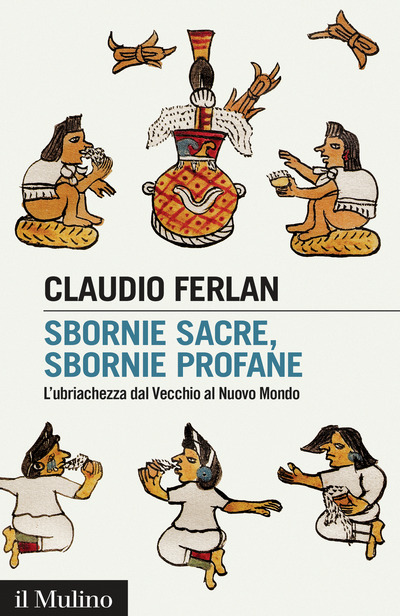 Claudio Ferlan is a researcher at the Bruno Kessler Foundation’s Italian-German Historical Institute in Trento. 3. Quanto è grave ubriacarsi?